The climate in Isla is tropical, with year-round hot, humid weather but a sea breeze keeps it nice and cool most of the time. The average temperature is around 27 degrees celcius. 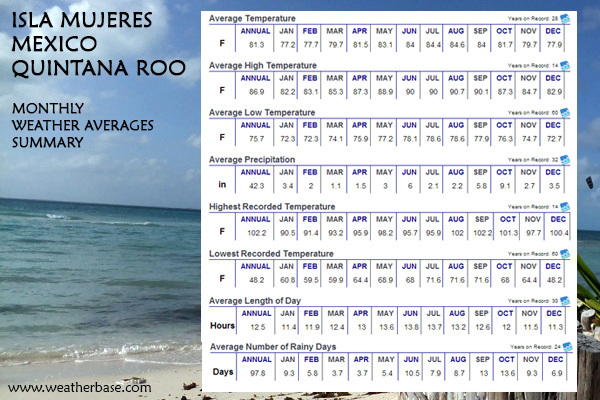 The summer months are definitely much hotter with a high humidity level, this is also wet season (June – November) with a chance of hurricanes. It is always a good idea to purchase travel insurance, even more so during hurricane season. 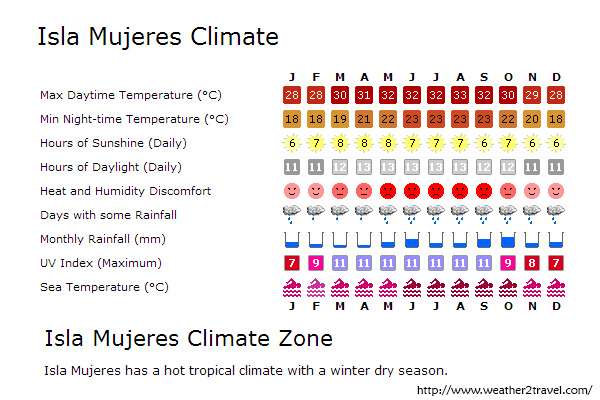 December to April is slightly cooler and is the dry and sunny season. During the winter months, occasionally there is a “Norte” which brings a cold front from the north so be sure to bring a sweater or light jacket for the evenings. There are more crowds however during these months. We suggest bringing the basics: both casual and semi-casual clothing for day and night along with swimwear, spf and don’t forget your sunnies and a good book! We advise that you check the local weather before packing!